It’s still Birthday Week, and I’m still totally slingin’ dessert down your throat. Yesterday was ice cream sandwiches, today it’s pudding. 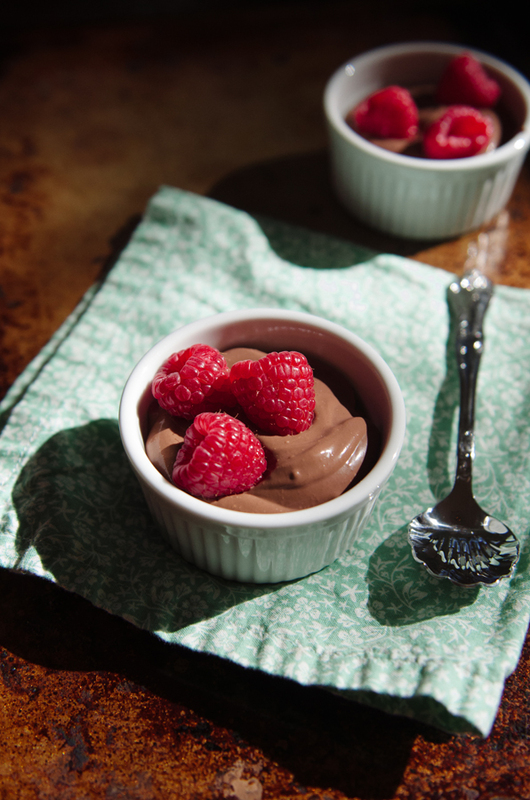 You’re thinking that if you make this here pudding and pair it with a side of kale chips, plus some bourbon on the rocks then you’ve got yourself dinner! Funny, I thought the EXACT same thing. I’m here to tell that you’re correct. Yes. That is a fine pairing. You’re a smart cookie. I like your style. Do you have some vegan friends? 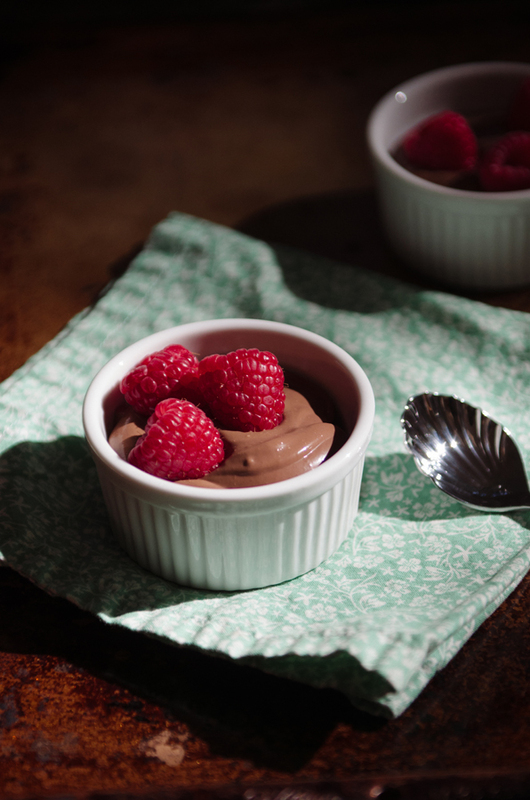 I’m pretty sure if you show up at their door with a bowl of this creamy chocolate pudding, A LOT of kale chips and a jug o’ bourbon then you’ve got yourself a vegan potluck. Yer welcome. Heck, I’m a total omnivore and I would not turn you away. Come on over. Let’s get that pudding party started. I’ll get two spoons. What’s that? Oh, that’s not acceptable dinner food? Ugh. Don’t be a bummer. We’re going to have to agree to disagree. Fine. Can we settle on it at least being a really easy and really delicious dessert? We can? GOOD! I’m so glad we’re back on the same page. I thought I had lost you there. Don’t make me cry into my pudding. I’m trying to be a lady. 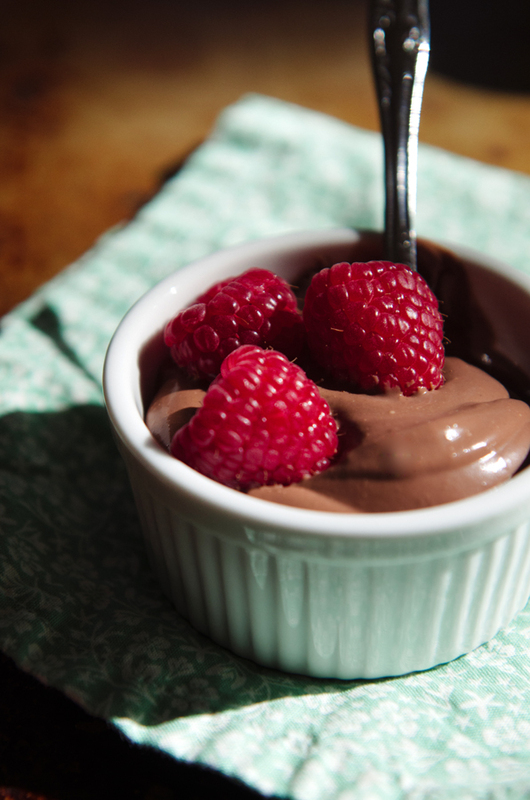 The great thing about this pudding is that it’s mutha truckin’ delicious and you can feed it to pretty much anyone. It’s gonna satisfy your tofu-loving vegan friends, your bacon-loving paleo peeps, your weird gluten-free “is there wheat in that?” buddies (like me), your “I totes eat whatever, I’m easy” amigos, and your kale -toting veggie companions. It’s something for everyone. Maybe I should rename this pudding “THE PEACEMAKER”. Really. I’m not suggesting that I should get a Nobel Peace Prize for creating this, except I might totally be suggesting that I should get a Nobel Peace Prize for creating this. Do people get NPPs for pudding? Do people shorten Nobel Peace Prize to NPP? I think I have probably just crossed several different lines and I should just quit while I’m ahead. Am I even ahead? Don’t answer that. Let’s just take a breath and get to puddin’ this puddin’ in our face. Cool? Cool. Before you leave (yep, I can see you getting antsy), don’t forget to sign up for my BIRTHDAY PARTY GIVEAWAY! I’m giving away a Paderno World Cuisine Tri-Blade Spiral Vegetable Slicer. Sounds fancy, right? It totally is. Click HERE to go enter to win. Tell yer friends. Add your coconut milk and your maple syrup to a medium saucepan. Sift in your cocoa powder and whisk the mixture together until it is full combined. Add in your pinch of salt and your vanilla extract and whisk some more. Bring this mixture to a boil over medium heat. Once it comes to a boil, turn it down and allow the mixture to simmer for fifteen minutes while whisking frequently. Your mixture is going to begin to thicken. It won't be the same consistency that you see in the pictures above until it cools. Remove your pot from the heat and allow your pudding to cool at room temperature, whisking occasionally. Once it has cooled down significantly, move it to an airtight container and place it in the refrigerator. Allow your mixture to chill completely before serving. This might take a few hours. Serve chilled! It goes great with some fresh berries or a dollop of coconut whipped cream! You’re so funny it’s not even fair! NPP, The Peacemaker. Love. it. ! Does it develop a skin? I was wondering if it was necessary to put wax paper on top. Your photos here are GORG! Pinning them for inspiration. Simple. Love it! Can’t wait to share on the HP facebook page this week! What size is the can of coconut milk? That is not something I’ve bought before. Thanks! do you think the recipe will still be good if I triple it?